This review is long over due. I went to Sushi Samba (Miami) in early July but I still distinctly remember every aspect of my experience there. In my three-day excursion in South Beach I managed to eat at Sushi Samba twice, once for lunch and once for dinner. Sushi Samba is a fusion restaurant that takes the simplicity of Japanese food, and combines the bold, Latin flavors of Brazil. While Sushi Samba specializes in sushi, they also offer a wide array of regular entrées that draw influences from Asia, Brazil and the Americas. Before I start getting into the details, let me first say that I eat sushi at least once a week. I also make it at home every so often, and Sushi Samba amazed me in both preparation, creativity and taste. 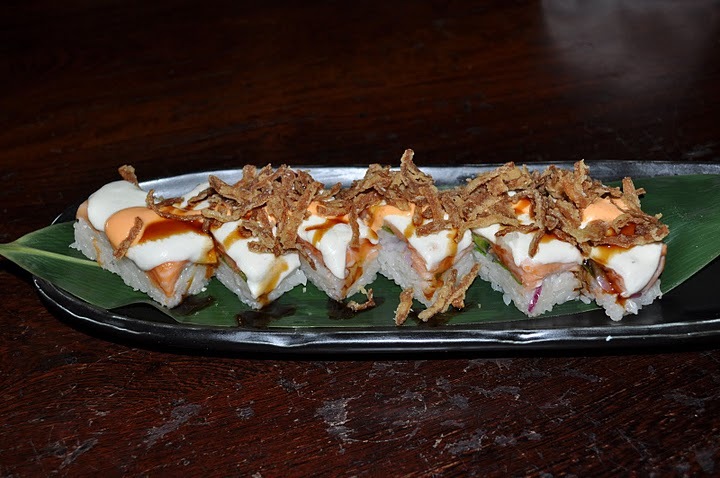 During my first visit to Sushi Samba I ordered the ‘El Topo’ roll. The el topo roll featured salmon, jalapeño, shiso leaf, melted fresh mozzarella, and crispy onion. When I first read the description of this roll I really thought, “none of these ingredients work together”, and then I tried it, sheer genius. The spicy jalapeno and minty/basil shiso was the perfect seasoning for the raw salmon. The melted mozzarella acted as the binder for the roll, in place of the seaweed. On my second trip, we ordered three sushi rolls for the table. 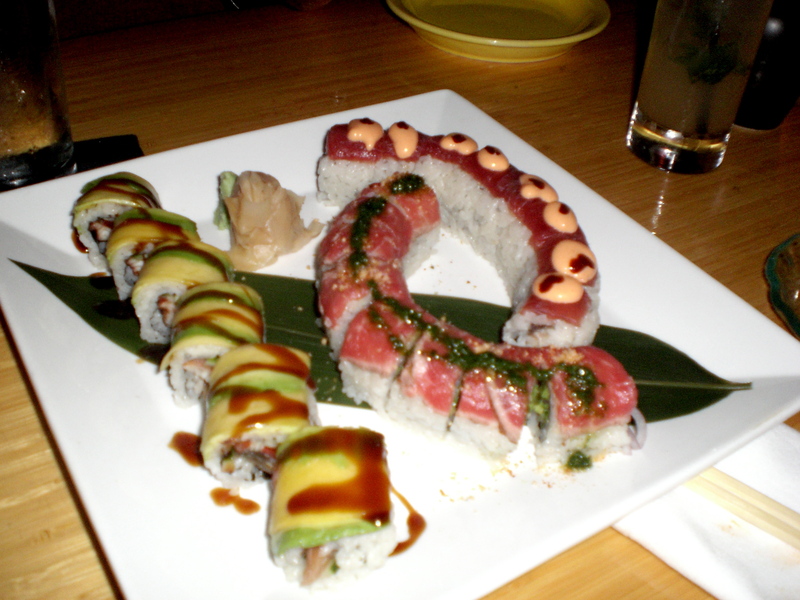 We ordered the Neo Tokyo roll, the Rainbow Dragon roll, and Sushi Samba’s signature roll, the Bobo Brazil roll. The Neo Tokyo roll was a simple but tasty roll that featured yellow fin tuna and tempura flakes with aji panaca (a Peruvian chile). 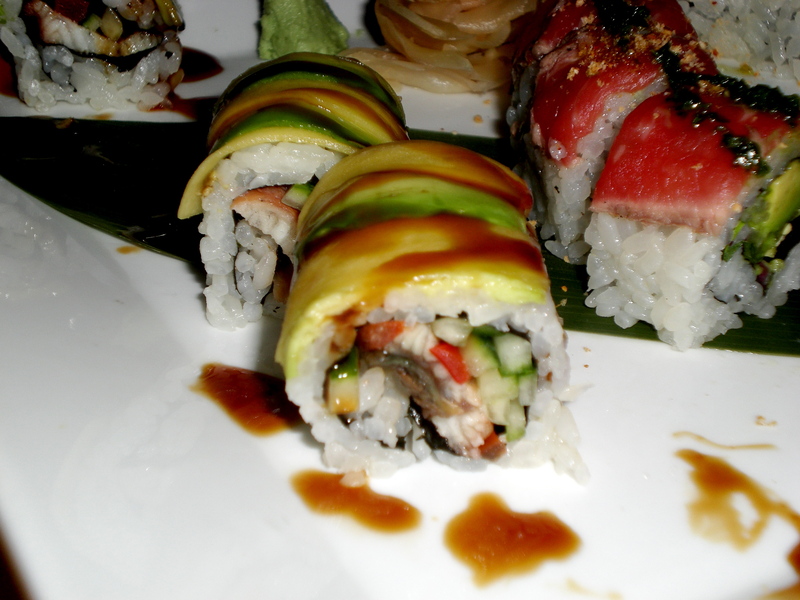 The Rainbow Dragon roll was a classic eel and avocado roll, served with their signature Asian barbeque sauce. Both of these rolls were great, but these we our safe bets. The real masterpiece was the Bobo Brazil roll, which had all the ingredients of guacamole inside (avocado, red onion, jalapeno) and then seared Kobe beef on top with chimmichurri. This roll was absolutely sublime. 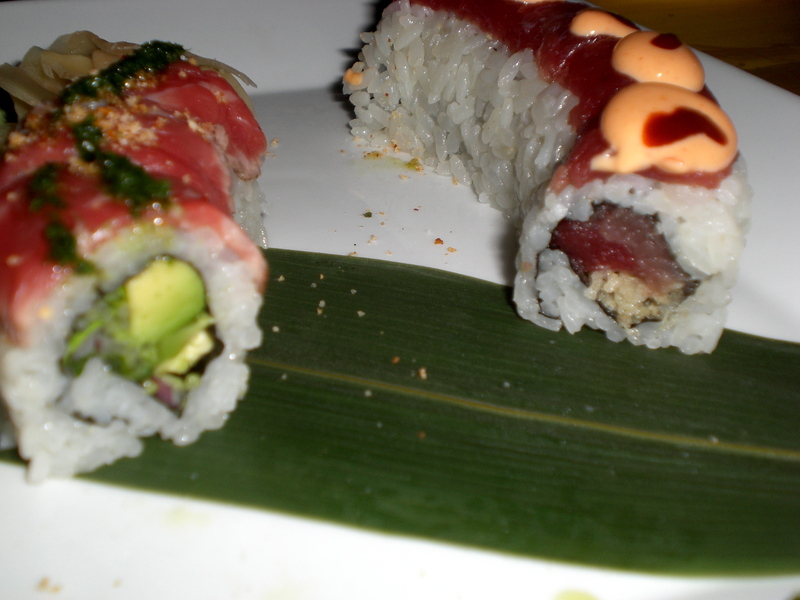 The combination of the bold, fatty Kobe beef with the fresh ingredients inside the roll was amazing. The chimmichurri provided a nice accent. 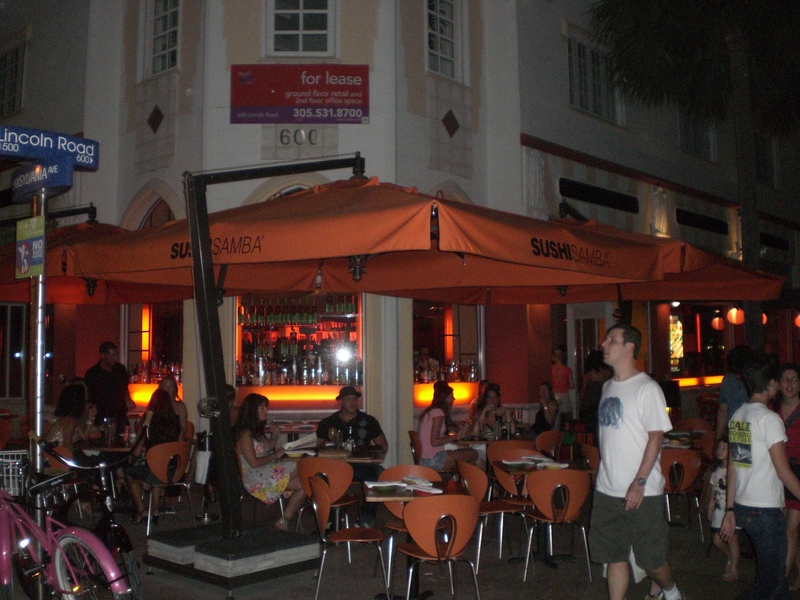 Now, when I go out for sushi, I always compare it to Sushi Samba, the distinctly orange colored restaurant nestled in the busy Lincoln Road Mall. The sushi at Sushi Samba is not cheap but it is definitely worth it. I would highly recommend Sushi Samba to anyone who is looking to splurge for the night on some amazing sushi and intricate fusion flavors of Japan and Brazil. Thanks for the fantastic review on SUSHISAMBA! Hope you will visit us in our Chicago location too! Totally agree with you on this one man. I went to Sushi Samba a while back while I was in Chicago. They have one in NYC too, so I’ll have to hit that up next time I’m there. Definitely some of the most creative sushi I’ve ever had, and my waitress was smokin’ hot.